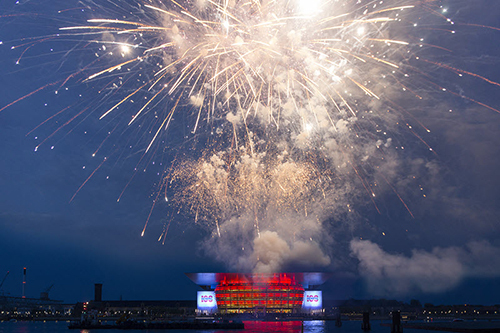 2015 was a momentous year for Denmark-based Hempel Group in both corporate strategy and financial terms as it reported strong results for the third year in a row in terms of turnover, earnings and EBITDA. The paint and coatings maker not only celebrated its 100th anniversary last year, but 2015 also marked the end of its One Hempel – One Ambition growth strategy. The program, which set aggressive five-year growth goals for its products, helped Hempel grow sales by 76 percent and EBITDA by 90 percent over that time period, the company announced Wednesday (March 30) with the release of its 2015 Annual Report. 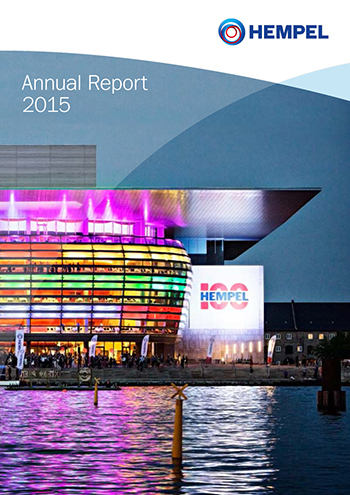 Among the achievements presented in its 2015 Annual Report, Hempel celebrated its 100th year in business in July. The past year also brought the hire of a new chief executive officer in Henrik Andersen, who has succeeded Pierre-Yves Jullien as CEO and president of Hempel A/S. “In many ways, 2015 was a landmark year for Hempel,” the company wrote. “Our focus on delivering products that add real value to customers has been very successful,” said Jullien, who retired from his position Tuesday (March 29). 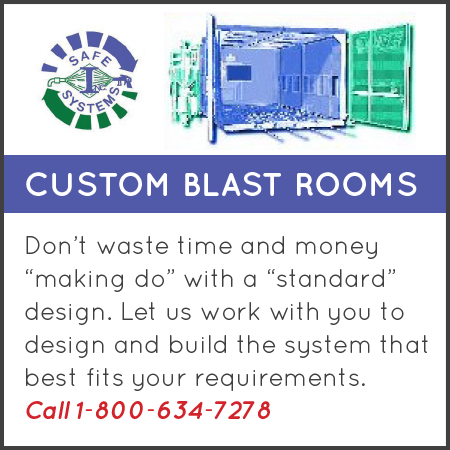 “At the same time, we have continued to invest in our own internal capabilities and efficiency, and our results over the last few years show that this dual focus is working,” he added. Jullien continues his association with Hempel as a member of the Board of the Hempel Foundation. 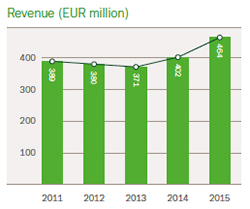 Net profit increased to €108 million (about $122 million). By achieving net organic growth above the market in 2015 and acquiring new companies, among them Dallas-based coatings maker Jones-Blair Company, Hempel reported a total top-line growth of 20 percent. In its annual report, released March 30, Hempel announced it had delivered top-line growth of 20 percent in 2015, and its overall performance surpassed company expectations. The company credits a favorable rate of exchange, as well as the acquisition, for achieving an overall performance above its expectations. 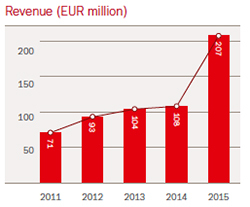 Additionally, the company’s EBITDA of €220 million, which was boosted by favorable raw materials prices, it said, was 33 percent higher than 2014—and the company’s third record-high EBITDA level in a row. Hempel operates in three geographical regions: EMEA (Europe, including Russia, the Middle East and Africa), Asia-Pacific and Americas. According to the report, every Hempel region increased EBITDA compared to the previous year and every region played a role in the group’s successful year. 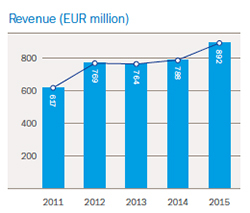 Hempel operates in three geographical regions (above left); the company saw growth over its 2014 performance in the EMEA region (above right). In EMEA, the company is present in the decorative, protective, marine and yacht markets. 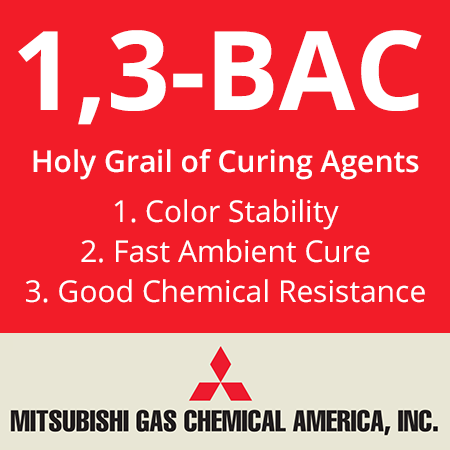 Here, the company saw strong overall growth rates with an 8 percent increase over 2014. In Asia-Pacific, it is active in the protective, marine and container markets, as well as the decorative market in China. 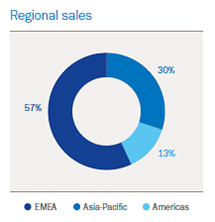 Throughout Asia-Pacific, the company noted, the majority of its sales are direct to customers. Sales in this region were influenced by the slow Chinese market, but still maintained last year’s level, the company explained. 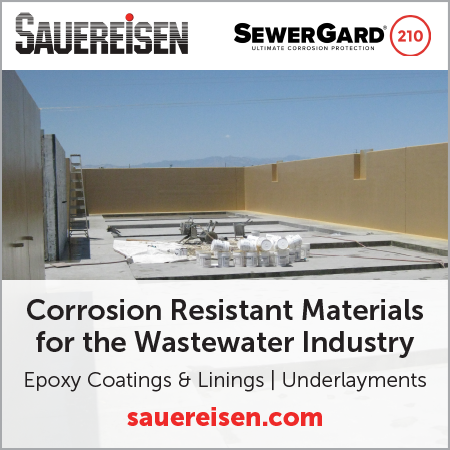 The group offers a comprehensive product assortment in the Americas, including advanced products that help customers reduce maintenance requirements in challenging environments, it said. Revenues in local currencies delivered double-digit growth in the Americas, due to healthy organic growth and the acquisition of Jones-Blair, Hempel explained. The company felt the effects of a slow Chinese market in the Asia-Pacific region (above left), it said, but it achieved double-digit growth in the Americas region (top right). In its Marine division, Hempel saw double-digit growth despite the weak newbuilding market, it said, with China and Europe performing particularly well. In the Protective group, both China and the U.S. were reported to have achieved double-digit organic growth, even if the effect of the Jones-Blair acquisition were taken out of the equation, the firm noted. The company felt pressure in some markets in its Decorative division, but was able to adapt quickly to deliver strong earnings. The company said it expects the coming year will pose more of a challenge. It anticipates that, as markets feel the effects of a long period of low oil prices and relatively low industrial growth, those markets will not to show any significant growth opportunities. 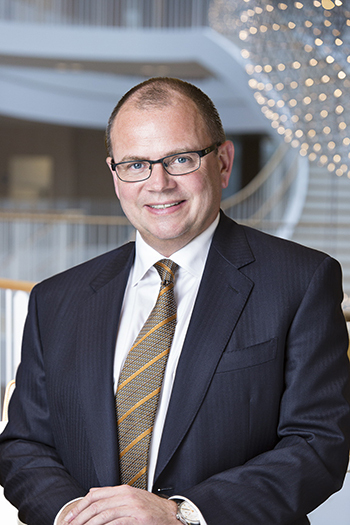 "I am looking forward to converting our new strategy into actions together with everyone here," new CEO Henrik Andersen said, "and I am confident that together, we can continue strengthening Hempel for the better of our customers, employees and stakeholders in general." Hempel still plans to pursue the growth opportunities it does see, it added, and expects to deliver revenue growth above the overall market. Additionally, it will increase investments as part of its new Journey to Excellence strategy, a plan developed in 2015 that focuses on further increasing customer focus and internal efficiency. Initially, this will impact its profitability level compared to the record-high earnings achieved in 2015, it noted; however, it still aims to deliver double-digit profitability at EBITDA level.